We're continuing our series, reaching out to Realtors who specialize in mid-century properties. We'll be asking questions of Realtors across the United States to see what's the same or different in various part of the country. 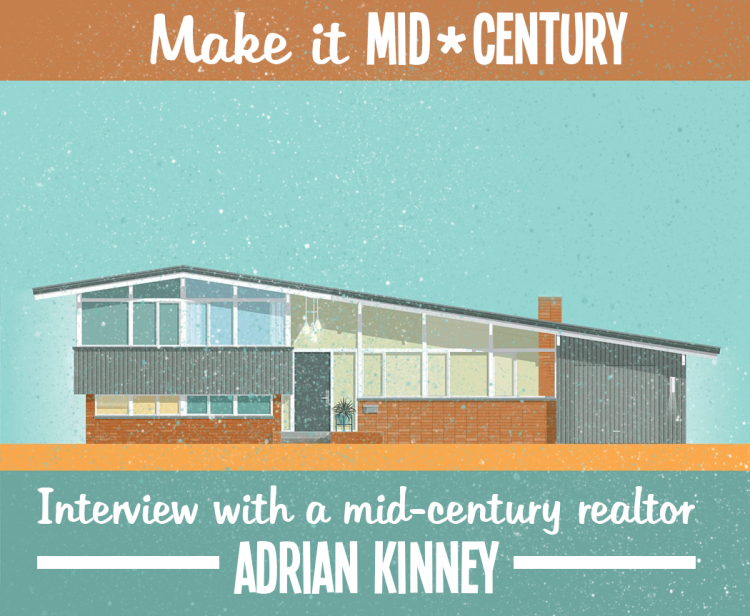 Today we're highlighting the Denver area with Adrian Kinney of Resident Realty. My name is Adrian Kinney. I am from Lakewood, Colorado. I attended Colorado State University for college where I obtained a BS in Business with a focus on real estate. I have had my license for eight years and my license is currently with Resident Realty. I will be going off on my own in the next year since I have created a name for myself in such a niche market. I have been focusing on MCM for about two-and-a-half of those eight years. Currently, I work with just residential. I am looking to add in commercial in time, as the Denver Metro area has a huge stock of commercial MCM buildings - though a lot have been razed. 1950-1969. There are a few homes here we have found in our area above and below this range that have the California contemporary styling. 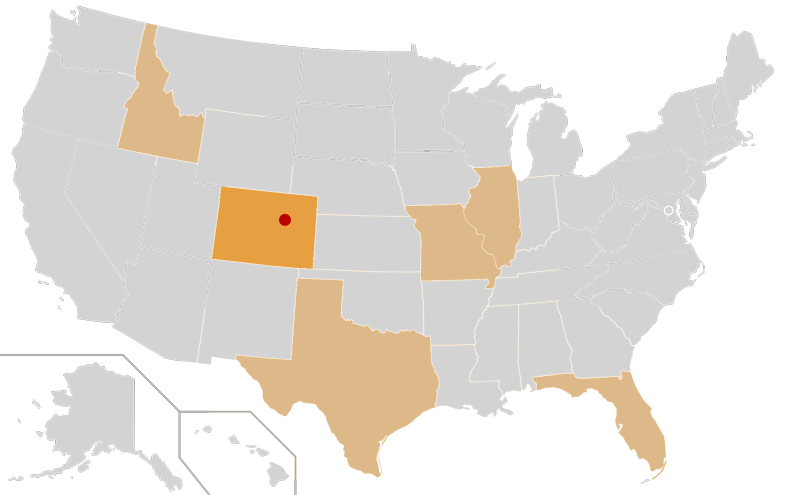 But homes outside of that time range are few and far between here in Denver. As with what most major metros are seeing, MCM is HOT right now. Mostly for the furniture and styling. But we are seeing it move to the actual architecture being popular now as well. When a sensitive remodel comes online, they go very, very quickly, and for a considerably higher price per square foot than a ranch home of similar caliber. I see it growing. But it needs to be bolstered by more education. Since MCM is such a buzzword right now, so many people are trying to ride the wave and what they are selling is not actually MCM. That is my fear that too much of what modernism embodies and perpetuates will be lost as people try to shove modern into MCM and this has to be done very carefully. Rarely is it done correctly, with more than a simple “nod” to MCM. We have a lot of the earth tones and materials here in the Denver area - brick, moss rock, cedar siding, etc. As well, inside had a lot of browns, and wood paneling. That contrasts with the cold and harsh materials and super bright colors of (for example) the Palm Springs MCM style. Denver is going through a massive boom currently, so prices have gone up considerably across the board. My associate and I have cataloged 5500+ MCM homes in the Denver metro area, and that number is constantly growing. Since these homes are found all over the metro area (and state) prices vary wildly depending on location, location, location. In the most known enclaves prices are in the $500k-$800k+ range. Most are considered small in comparison to the massive homes that were recently built. Most MCM homes are in the 1000-2200 square foot range with most falling at 1200-1800 square feet area. The kicker is that they now run $450+ per square foot. I have buyers from every single background. The major common thread among all of them: the desire for something different, and something aesthetically appealing inside and out. Most want as original as possible. 3+ bed, 2+ bath. Around 1500 square feet, and then the major thing: connection to the outdoors (courtyard, side yard, backyard, etc.) They really want the home to embody what modernism is all about and showcase the detail and character of the era. The name I have made for myself brings forward clients that want to preserve MCM homes, or tastefully update/upgrade. So I would hope to have the opportunity to talk to someone that wanted to do that and educate them on the history of the home. And see how we can combine their desire for “new” and blend it with the stunning MCM they may be trying to raze. Cry. Then try to figure out how my message did not get to them. The biggest culprit of this are investors/flippers. They think that doing the “Home Depot” remodel that is so average it cannot be offensive will work in any home. The MCM is one of the greatest examples that showcase that not all generic designs will work. Since most of the MCM’s are smaller square foot footprints, use of space and eye on design are KEY to get the return. Having flipped four MCM homes I have applied this method to each of them, and it has been very successful. When I see others that have not followed the MCM rules, they tend to sell at much lower prices and sit on the market for a long time. Every client I have worked with truly has an amazing story I can tell. I could write a book on all of them at this point! But I think my favorite story is where I got my big start. My neighbor was ready to sell their home, and it was, at the time, the largest, most done (and correctly done) Cliff May to come to market. I ran with it to advertise it to the world. Social media, print, the usual MLS, and everywhere I could on the Web. It was so much fun; it’s what made me realize that showcasing these gems was not work for me. I ended up with 13 offers, and the offer that my sellers chose was $45k over asking and $63k over the next highest sale in the enclave. It was remarkable how I was able to get this home to the right people that appreciated the home, and in turn, help the neighborhood, and help my sellers to fund their dreams in achieving that sales price. Obsession/Extreme Passion. Truly, MCM is my everything. I am not just an agent riding a style wave, or doing this for myself. I truly love modernism and MCM. I live it, educate, research, and help in this realm at every chance I get. I pride myself on not being just a real estate agent and truly doing things so differently. And it seems to be paying off as people learn about, and meet me and see that this is truly my passion and my everything. Many thanks to Adrian Kinney of Resident Realty for willing to be interviewed. Interested in working with Adrian? You can find him on his amazing website, Colorado Mid-Century Modern Homes. You can also find him on Facebook, Instagram and Twitter!